Martha Beck, an art curator who made use of a converted warehouse to found the Drawing Center, an alternative museum in downtown Manhattan that provided a first showplace for emerging artists and an unlikely setting for rarely seen drawings by the likes of Michelangelo, Rembrandt and Cézanne, was found dead on Jan. 6 in her apartment in Manhattan. She was 75. The cause was unknown, but the police found no signs of foul play, a niece, Laura Hornbrook, said, adding that Ms. Beck had become increasingly reclusive in recent years. Its mission was to rectify what Ms. Beck saw as museums’ longstanding neglect of drawings. If paintings and sculptures represented the grand narratives of fine art, she said, drawings were often the original flashes of insight that led to them — the “intimate, direct and experimental state of an artist’s creative process,” as she put it. As if to demonstrate the magnitude of that neglect, Ms. Beck, soon after opening the museum, rolled out a large trove of work in a series of exhibitions that attracted rave reviews and big crowds — 125,000 visitors the first year. In one early show, she presented 100 newly recovered drawings by the Spanish architect Antonio Gaudi. It was the largest exhibition of Gaudi’s architectural drawings ever assembled outside Spain. The same year, 1977, she began an acclaimed series of exhibitions of work by New York artists, including future stars like Terry Winters, Nancy Dwyer, Carroll Dunham and Richard Bosman. In 1981, “Sculptors’ Drawings Over Six Centuries, 1400-1950,” an exhibition organized by Colin Eisler, a professor of fine arts at New York University, presented a pantheon of classical and modern sculptors in the process of conceiving their works on sketch paper. Among the giants represented were Donatello, Bernini, Canova, Rodin, Matisse, Picasso, Brancusi, Giacometti, Henry Moore and Louise Bourgeois. In 1983, Ms. Beck persuaded the Royal Institute of British Architects to lend her museum drawings by Andrea Palladio, Inigo Jones, Christopher Wren and others. Critics described it as one of the finest collections of architectural drawings in the world. 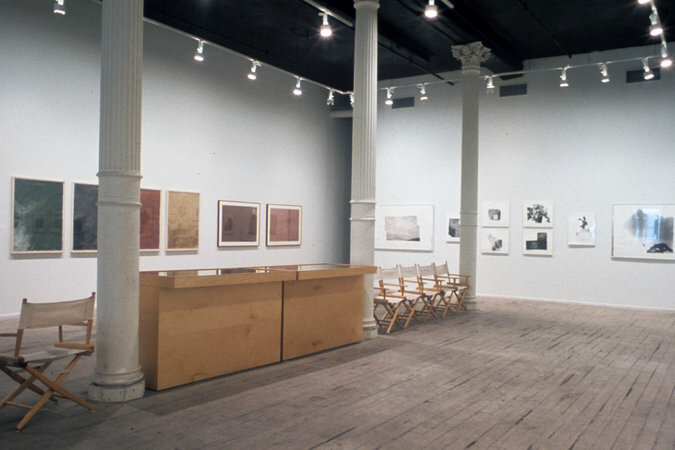 A former assistant curator of drawings at the Museum of Modern Art, Ms. Beck became a phenomenon in the SoHo art scene of the 1970s and ’80s for her ability to put together shows of major-museum quality on a budget based on modest grants from the New York State Council on the Arts, the National Endowment for the Arts and private donors. Martha Ann Beck was born on June 16, 1938, in Cleveland, the youngest of three daughters of Claude and Ellen Beck. Her father was a cardiac surgeon who is credited with helping to develop the defibrillator. Ms. Beck graduated from the Laurel School for Girls in Cleveland and Vassar College, then attended the Institute of Fine Arts at New York University, studying under the German art historian Erwin Panofsky. She joined the staff of the Modern in the early ’70s before successfully applying for grants to open a drawing museum, sensing the untapped potential of a showplace devoted to the infrastructure of visual art, said Marie Keller, who was an assistant curator at the center in its first decade. “She was a perfectionist; she could be a very difficult person to work for,” Ms. Keller said. “But she created something original.” The Drawing Center claims to have been the first nonprofit museum in the country devoted to drawings. In 1990 the museum’s board replaced Ms. Beck, for reasons never disclosed. Friends, while declining to be specific, said she had personal and health problems that had begun to interfere with her work. She later wrote about art and was involved in editing books, but never worked again as a curator. Besides her niece, she has no survivors. The Drawing Center has since expanded its mission to include other art forms, including dance and multimedia animation. One of Ms. Beck’s most ambitious projects was a 1988 exhibition called “Creative Copies: Interpretative Drawings From Michelangelo to Picasso,” organized with the art historian Egbert Haverkamp-Begemann, also a professor at N.Y.U., and Ph.D. students. The show featured drawings by great artists copying or rendering their impressions of other great artists’ work: Michelangelo on Masaccio, Dürer on Mantegna, Picasso on Renoir, Rubens on Michelangelo, Delacroix on Dürer, Cézanne on van Dyck, Matisse on Delacroix. A version of this article appears in print on January 23, 2014, on page A25 of the New York edition with the headline: Martha Beck, a Curator of Fine Sketches, Dies at 75.